On April 19, the campaign of Jakarta's radicals chanting, "We want a Muslim governor!" paid off, as Ahok was defeated in the gubernatorial election. Exit polls on election day indicated that religion was the main factor behind the voting. On May 10, Indonesia's radicals scored a second victory, when Ahok was found guilty of blaspheming Islam and sentenced to two years in prison. The verdict came as a surprise even to the prosecutors of the case -- they had requested only a suspended sentence for the offense of "inciting hatred". 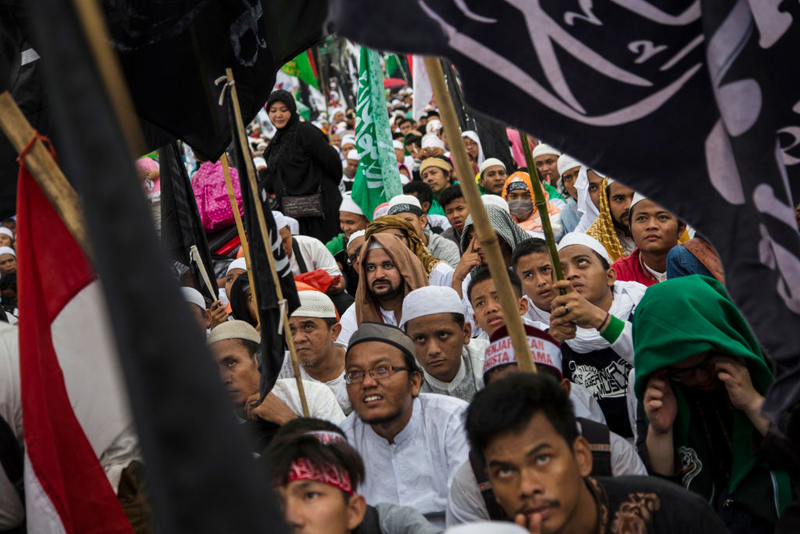 In the two decades since the fall of Indonesian President Suharto's 32-year reign in 1998, the use of the accusation of "treason" as a governmental tool to quash political opposition gradually reemerged in the world's largest Muslim-majority country. Today, however, those trying to overthrow the leadership are Islamists intent on unraveling the fabric of a pluralistic society. This situation has led to the debate over freedom of speech and the separation of church and state -- or, here, mosque and state. Four recent rallies in the capital city of Jakarta illustrate the nature of what has become a full-blown controversy. In each case, protesters gathered outside mosques after Friday prayers for what they claim are "spontaneous" demonstrations made necessary by their clerics' lack of financial resources to plan and stage such events. But evidence collected by Indonesian authorities indicates otherwise. The first such protest took place on October 14, 2016. Its purpose was to demand that criminal proceedings be launched against Jakarta Governor Basuki Tjahaja Purnama -- familiarly known as Ahok -- for "blasphemy." Ahok, a Christian of Chinese descent, was appointed to his position in 2014, when Joko Widodo became president of Indonesia. Hardline Muslim groups argued that a Christian should not be allowed to govern a Muslim-majority city. To back up their claim, they cited the Quran. Their fury grew even greater when Ahok was running for reelection: he asked fishermen in Pulau Seribu not to be "deceived" by politicians using the Quranic verse, al-Maidah 51 ("...do not take the Jews and the Christians as allies"), to dissuade them from supporting him. Although Ahok subsequently apologized for his statement, he was put on trial for blasphemy. Thousands of Islamists, shouting "Burn Ahok!" and "We want a Muslim governor! ", marched from the Istiqlal Mosque through the city. This ostensible eruption of emotions, according to deputy head of the Islamic Defenders Front (Front Pembela Islam, or FPI), had nothing to do with the upcoming gubernatorial election. It was, he said, religiously motivated. However, the presence at the rally of former House Speaker Amin Rais indicated that politics played just as big a role as faith. The second rally took place less than three weeks later, on November 4. According to the head of the FPI, some 7.5 million Muslims turned out that day. At the end of it, one protester had died of an asthma attack and two police trucks had been set on fire by an angry mob. Hours before the third rally, on December 2, police arrested 11 people on suspicion of treason for trying to overthrow the government. Among these were: the daughter of former President Suharto; prominent economist and activist Sri Bintang Pamungkas and two brothers, Jamran and Rizal Khobar, both members of the Islamic Students Association, a group responsible for an attack on security officials during the previous rally. In addition to the allegation of treason, Pamungkas was detained over social media posts, particularly a YouTube video from the previous month. Rizal and Jamran were accused of violating Indonesia's 2008 Electronic Information and Transactions Law. Ahead of the fourth rally in question, on March 31, a second batch of arrests was carried out by police. 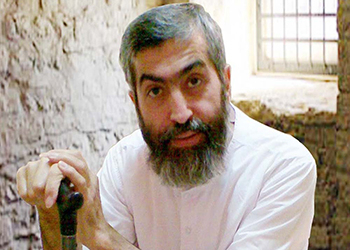 Among those detained was Muhammad Al Khaththath, a leader of the hardline Islamic People's Forum. Although the case can be made, as it is in the West, for distinguishing between treason and the right to criticize one's government, the issue in Indonesia is currently more complex, due to the extremist religious agenda of the opposition. Rather than looking to their religious leaders to determine matters of faith, many are using Islam as a political weapon, and breaking laws that were written to protect the very minorities who are now being treated as second-class citizens. On April 19, the campaign of Jakarta's radicals, chanting "We want a Muslim governor!" paid off, as Ahok was defeated in the gubernatorial election. On May 10, Indonesia's radicals scored a second victory, when Ahok was found guilty of blaspheming Islam and sentenced to two years in prison, effective immediately. The verdict, which came as a surprise even to the prosecutors of the case, who had requested only a suspended sentence for the offense of "inciting hatred," was handed down by a five-judge panel of the North Jakarta District Court. One of the judges, Abdul Rosvad, explained the decision by saying, "...[A]s a public officer, the defendant should have known that religion is a sensitive issue so he should have avoided talking about [it]." Rosvad also denied allegations that Ahok's arrest, trial and imprisonment were politically motivated. "This is a pure criminal case," he said. However, the popular Christian governor was defeated by rival Anies Baswedan, a Muslim, and exit polls on election day indicated that religion was the main factor behind the voting. Dr. Melissa Crouch, of Australia's University of New South Wales, told the Sydney Morning Herald that the verdict should not have come as a surprise. "To be accused of blasphemy in Indonesia is effectively to be found guilty," she said. "This gives a lot of power to those -- such as religious leaders -- who may make the initial complaint to police regarding blasphemy charges." Ahok's lawyers say they will be appealing the verdict. Jacobus E. Lato is a writer and former editor, based in Surabaya, Indonesia. My mother's 2nd husband late in life was Dutch-Indonesian; a very fine man, Christian, a geologist for Standard Oil for many years, and a US citizen. I'm quite sure he would not understand what has happened to his country of birth. I do not get it either. What is it about Islam that attracts so many men? I can find nothing redeeming in their philosophy, only an amazing lack of thought and a seeming joy in violence, and hate. Most countries aren't suited to democratic government. Without a well informed and tolerant public, democracy is only a tyranny by whatever group can command a majority of votes, over the rest of the population. Indonesia was better off under a generally benevolent dictatorship -- and would be better off today with another. A constitution guaranteeing the rights of all citizens is a help, but only if the government and the public can be forced to conform to it (which is seldom the case).